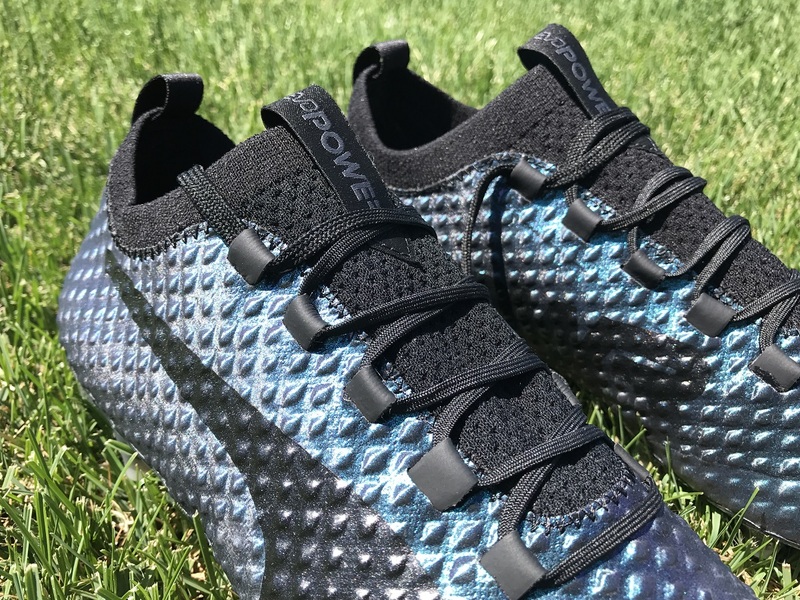 Over the past few weeks, we have quickly discovered that the Puma evoPOWER Vigor 3D has become somewhat of a statement boot for the brand. Built using the same framework as the regular evoPOWER Vigor release, this special edition version is all about enhancing power. Visually they are eye-catching and players are intrigued by what they provide on pitch. Given that they sit as a premium tier review, there are sure to be some of you interested but not willing to jump on a pair without knowing what they have to offer. I can assure you there is quality in this release; but in case you need more info here is our take on what you can expect. Or, you can check them out at soccer.com. 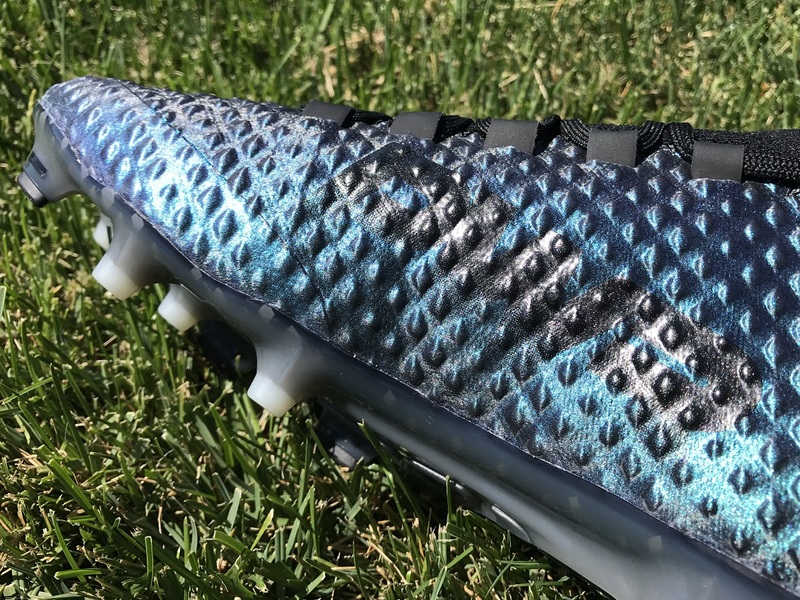 Visually, this is a striking boot and we have been impressed with how fans have reacted to images posted online. The iridescent upper effect immediately draws attention, with the multi-dimensional upper layer creating an even more dramatic effect. The actual shade of color used is a dark navy, but you can actually see shades of green and purple pending how the light shines on them. Because Puma has limited the number of pairs and colorways that will be available in the Vigor 3D series, there are not many to choose from. Right now, you only have this colorway and the Ultra Yellow that was initially released. 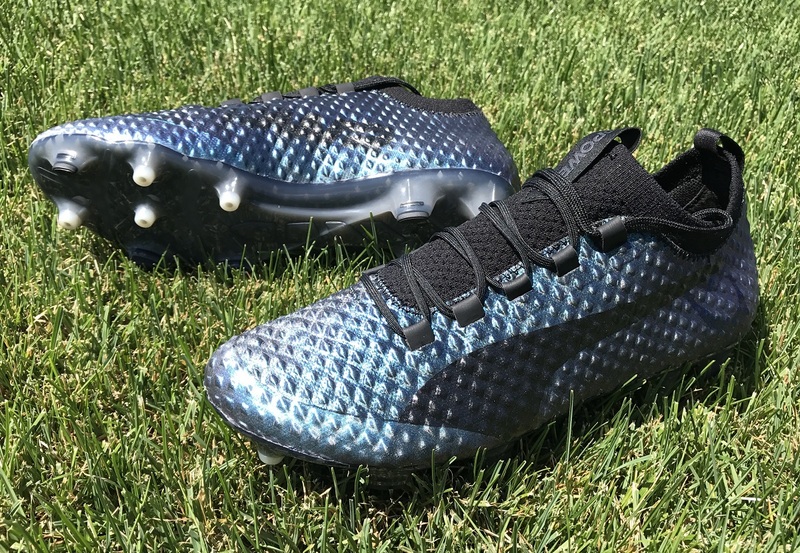 If you are wondering what the actual purpose to that wild upper design is, it is where you will find PUMA’s AccuFoam technology without any additional layer of Adaplite. This is a key feature that differentiates the Vigor and Vigor 3D. 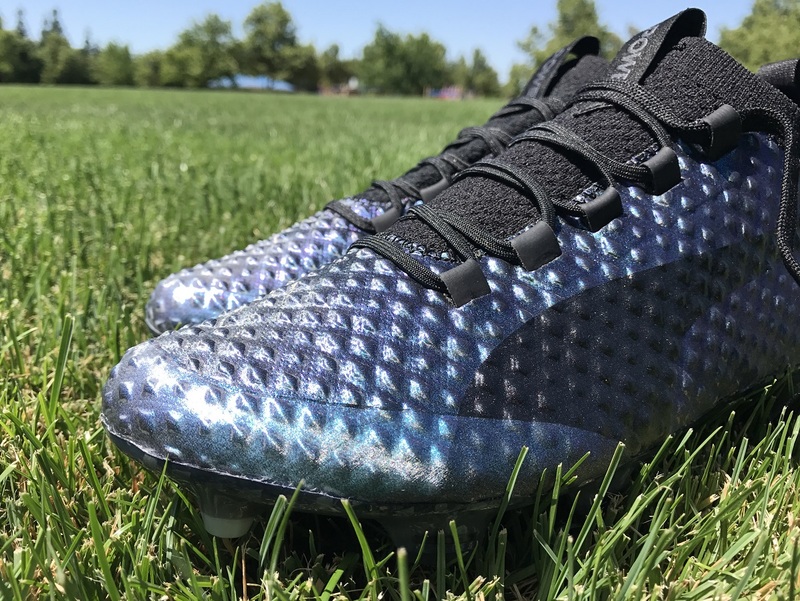 Designed with a direct emphasis on striking power, Puma use the AccuFoam technology, raised bumps on the upper, made to create a better surface for shooting and enhancing accuracy. In play, they definitely have a level of grip to them that you notice, providing enhanced touch and control on the ball. It makes them an ideal option for central styled players who like to get quick touches on the ball before spraying it around the pitch. Around the ankle, Puma’s use a spandex sock for a second skin feel. This helps in some part to lock your foot in place while allowing the boot to naturally mold around your ankle, right from first wear. From wearing them, they are definitely a boot where comfort won’t cause any problems. The entire upper has been created to mimic the foot shape and provide a responsive feel through play. In other words, it is very fluid with the upper moving like a knit material would. Finally, underfoot they feature Puma’s Gradual Stability Frame (GSF) that mixes conical and bladed studs. 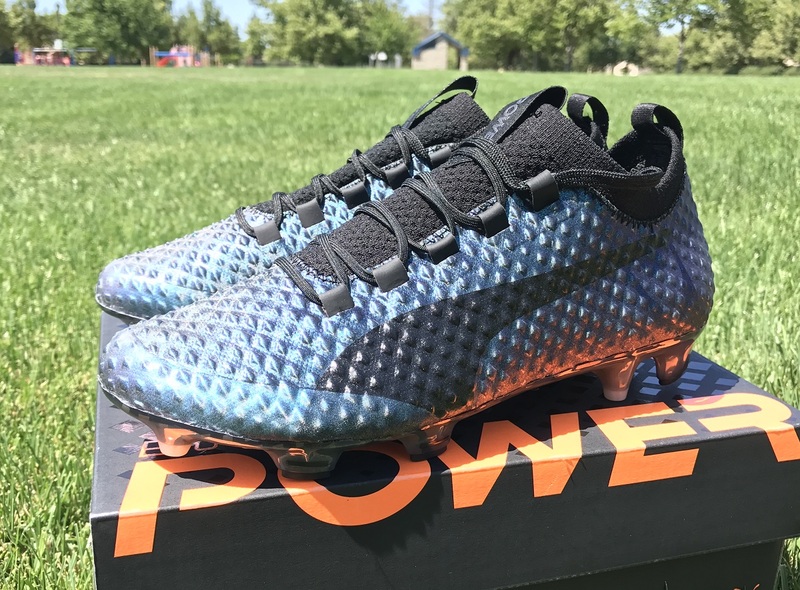 This is a system we have seen employed with the evoPOWER through its existence, so Puma are definitely confident in its performance. It provides stability without taking away your traction during quick twists and turns. Whether you play on natural FG surfaces of Turf, they play very well. Because of the nature of the upper material, this is a very accommodating boot and one that falls comfortably into the wider fitting category. You will need to wiggle your way into the ankle opening for the first few wears, but inside you get a spacious fit where the soft upper material folds as your feet press up against it. In terms of length, they are very much true to size. Because this is more of a special edition top tier release, you won’t find many versions available. Right now, you only have this colorway and the Ultra Yellow that was initially released both of which check in at a eye opening $274.99. 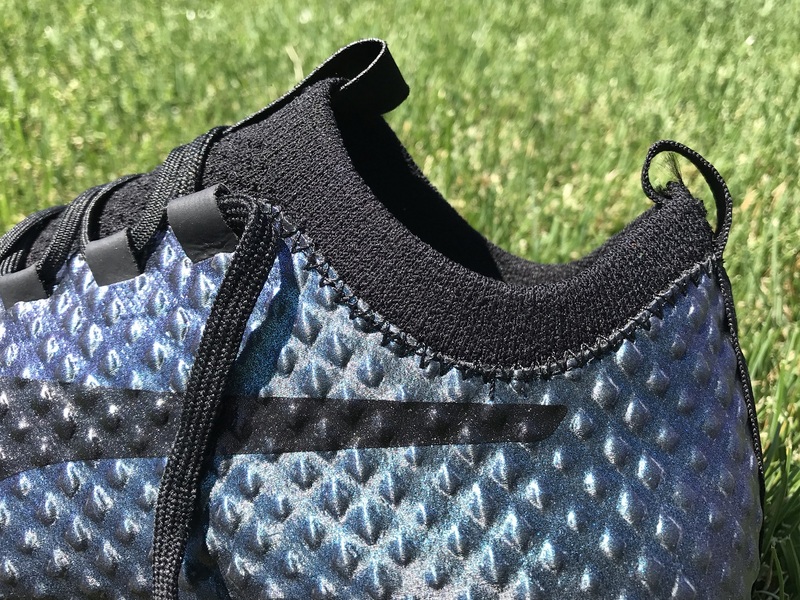 Given that price, I can’t really say they offer too much in the way of value for money, but they definitely are on par performance wise with the best Nike and adidas has to offer. If you are a Puma wearer looking to try something new, I’d definitely recommend these as a boot to check out. 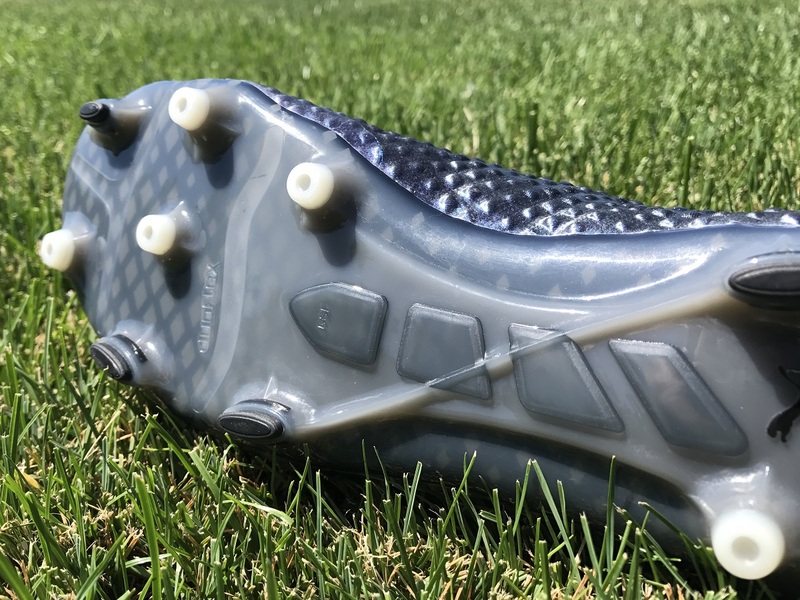 You can currently find the evoPOWER Vigor 3D available at soccer.com. If you have any questions, comments or personal opinions on the evoPOWER VIgor 3D series, feel free to leave them in the comments below and we can get a discussion started.